Back in 1991, when the World Wide Web (WWW) first became publicly available, few people knew what an impact it would have on the planet. Today, more than 27 years later, a world without the Internet is a prospect that even fewer people are prepared to consider. There can be little doubt that the Internet is becoming greater by the day. Billions now rely on the network to fulfill what have become our most basic needs, with the free-flow of information enabling some of our greatest achievements in discovery, research, and education. In 1994, when the Internet became publicly available in Sweden, it’s unlikely that even the people behind fledgling ISP Bahnhof could have envisioned what the web has become today. However, as one of Sweden’s first service providers, the company has since weathered many storms, particularly as the freedom of the Internet clashed with those who favor more restrictions, especially in respect of copyright enforcement. For example, back in 2005 – when the war against file-sharing had really taken hold in Sweden – Bahnhof was effectively shut down as part of an anti-piracy raid. As a result, the company had harsh words for those involved, accusing the infamous Antipiratbyrån anti-piracy group of indirectly planting copyright-infringing content on servers connected to the company. “How can Antipiratbyrån, which in the form of a lobby organization that works to curb the file-sharing culture, actively pay a person to upload tens of thousands of copyrighted files to a server that is then seized by the authorities?” CEO Jon Karlung asked at the time. From this event, a pattern began to emerge. Bahnhof became an opponent of file-sharing crackdowns and a supporter of privacy, in 2009 famously refusing to store the IP addresses of customers so they could be pursued by the authorities. A year later, Bahnhof became the proud host of Wikileaks, a controversial move given the organization’s efforts to expose secrets connected to the war raging in Afghanistan following the 9/11 attacks. But it would be the company’s efforts to protect the privacy of its own subscribers that would grab most of the headlines. In 2014, a landmark ruling from the European Court of Justice declared Europe’s Data Retention Directive a violation of Internet users’ privacy and therefore invalid. The Directive had required ISPs to store data on the activities of their subscribers, including who they communicate with and at what times, plus other identifying information such as IP addresses. Bahnhof announced that it would stop capturing data with immediate effect. Soon after, however, Swedish telecoms regulator PTS ordered Bahnhof to start storing communications data again under local data retention laws, warning the ISP that non-compliance would result in hefty fines. 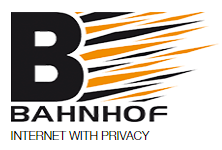 Bahnhof responded by offering its customers a free, no-logging VPN. Ever since, Bahnhof has made headlines with its efforts to protect the privacy of its subscribers. The company also became an outspoken enemy of copyright trolls (1,2), labeling those who engage in the practice as greedy extortionists. With the fight set to continue, Bahnhof CEO Jon Karlung says the company’s stance has its roots in being one of the longest-standing ISPs and a desire to keep the Internet open. “I assume that our long-time fight comes from that we, once upon the time, were one of the first ISP’s existing. That era somehow represented a positive and genuine delight over what the big internet could be,” he tells TorrentFreak. It’s clear from Karlung’s comments that he sees his company as playing a role in defending the organic nature of the Internet against what he sees as a movement to sterilize the experience, often at the expense of privacy. 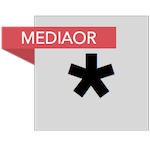 “One could reflect on this: What would happen if the Internet turned out to become a big cable-TV landscape controlled by Big Media, or if various and more and more commercial interests could ‘log in’ to your privacy? As these and similar thoughts resonate with millions of freedom-loving individuals worldwide, Karlung clearly understands that he is in business too. The stance he’s taken means his company is not only seen as somewhat unique in the marketplace, it also earns plenty of merit points with current and future customers. “As strange as it may sound, there is also a business idea in defending customers and their privacy. In the old days this could be described as the job of the mailman,” he concludes. Somewhat ironically, Bahnhof itself is now the subject of a net-neutrality investigation in Sweden. After a court ordered the ISP to block websites related to Sci-Hub following a complaint from Elsevier, Bahnhof retaliated by partially blocking the academic publisher’s website. Like many of Bahnhof’s moves in recent years, the aim is to defend the free Internet with the side-effect of provoking debate. Karlung says he’s looking forward to the discussions and has sent thanks to Sweden’s telecoms regulator for the opportunity.